Congratulations to the winners of your Audio book. And huge thanks to all the writers with new works out. I am really, really looking forward to reading the next ISWG anthology too. Congrats to the winners of your audio book. Is it really 50yrs since Star Trek graced our screens? Perhaps it was later in the UK AS THAT MAKES ME FEEL TERRIBLY ANCIENT. I watched Star Trek sometimes, but I found it kind of intense as a kid! Congrats to the audiobook winners! I'd have to say I'm a huge Star Trek fan. Wrath of Khan is one of my favorite movies and The Trouble with Tribbles would probably be my favorite episode. Looking forward to Kate's return in Underworld Blood Wars. Congrats to everyone with new releases and the audio winners of your book. They are in for a treat. Happy Monday Alex! Congrats to the winners of the audio books. I am sure they will enjoy listening to the adventure unfold. I imagine it must be a very busy day of reading and commenting on IWSG days, thank goodness for co-hosts. We all need a little help from our friends. I've always wondered about what is out there beyond the stars. Sometimes I would think "Beam me up" just for a glimpse. Lucky for me my imagination is willing to explore beyond the normal sphere of sight. 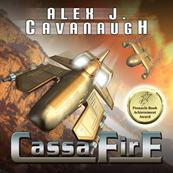 Congratulations to the winners of your audio book, Alex. I was also quite young to appreciate Star Trek, but I do remember watching it when I got older. So looking forward to the new Underworld movie. Good Luck with training on Friday. I only watched Star Trek a few times. Crazy I know. But this is coming from the same chick who never saw a single Star Wars movie either. LOL. Congrats to all the new authors and winners of your audio book. Star Trek is a fabulous saga, but my favorite is 2001: A Space Odyssey!! Congrats to the audiobook winners and those with new books! I used to watch TNG in college, though I've also seen episodes from TOS, DS9. and Voyager. Next Generation is still my favorite. I do have to catch up with the rebooted movies; I still haven't seen them yet! I have to admit, we watched a few episodes of the original Star Trek marathon when it was on this weekend. I have always been a fan of Next Generation. We still watch that pretty regularly. Star trek did break through a ton of barriers. I'm way more of a Stargate fan though. But without Star Trek may never have had that. Kate's about the only thing good left in that series, but I'm in too deep not to see how it ends lol watched all the other ones so may as well keep going. Okay, you're making me feel a wee bit old. I do remember the original Star Trek series and used to watch it. I've been a Trekker since I watched the first show (it was delayed since we were living in the Philippines at the times and Armed Forced Network always got thing a year behind). I was devastated when we returned to the States and it only aired for half a season because they canceled it. It was years before syndication brought it back again. Yes, yes, yes, more Underworld please! Me has likeyed Kate Beckinsale ever since 1998 when she starred opposite Chloë Sevigny in The Last Days of Disco, one of my favorite movies of all time. Both women wowed me and both are on my bucket list as future Mrs. Shadys. It always amazes me how actresses like Kate, Naomi Watts and Nicole Kidman can shed their accents and deliver dialogue in perfectly Americanized English. Couldn't agree more, Alex. DS9 doesn't get nearly enough love or respect. Yes, it had a rough start, but the Dominion War seasons were the best Trek on TV, and Garak was the best supporting character since Q.
:) Great outfit for the wife (Underworld)! Ugh...there's no way I could pick a favorite Star Trek show/movie. There were a few I didn't care for but not many. Enjoy your training--I have the image of secret ninja facilities running through my head. Yvonne, it's been that many years. Truedessa, I'd like to go see, and yet part of me enjoys just imagining. Sandra, Next Gen started it all over again. Pat, Stargate was awesome. Well, the first two series anyway. Donna, we were in Japan at the time, so I wouldn't have seen it anyway. Shady, I'll fight you for Kate! Oh dear, is it really 50 years? I am old enough to have watched the original series on TV and that makes me feel really really old. I loved Spock and Deanna Troi - I wanted to be an empath, too. Congrats to winners of your audio book. I'm ready to co-host IWSG next month! My mother used to watch the original Star Trek series reruns, so I've seen a few of those. I've really enjoyed J.J. Abrams's reboot movies, though. My significant other calls me a trekkie now. My favorite (current) TV show right now is probably Game Of Thrones. Hi Alex, thanks for educating me on the influence of Star Trek--I didn't know all that. Science fiction isn't my favorite but I still enjoy the Star Trek movies (mainly because of Chris Pine ha ha). And I just recently rewatched Kate Beckinsale in Serendipity, such a cute movie! 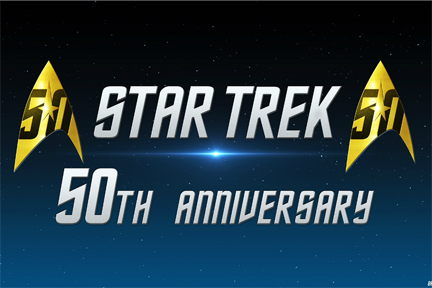 Half a century of Star Trek, wow. I was obsessed as a kid and I would still say TNG is my favourite, because that was my first introduction to it. Haven't seen all of the movies, but First Contact is a good one. Wow Kate Beckinsale doesn't ever seem to change. I started to type which was my favourite Star Trek, and realised I was listing most of them - Deep Space Nine was my least favourite. I even enjoyed Enterprise, I loved the concept, although no one seems to talk about that one. I love Star Trek. I also watched the old ones in reruns having missed the first showings. I like the reboot movies too. Can't pick a favorite version or movie for Trek. But I think the show that made me a syfy lover was Stargate. Happy Anniversary to Star Trek! I was recently reading an article about how Lucille Ball was instrumental in getting this show on the air. So, hurray for Lucy, as well! Star trek... 50 years. WOW! I was never a huge fan. As a I kid I was more into Lost in Space. Congrats to LK and Julie! THANKS again! You started my week off GREAT! I haven't seen many of the Star Trek movies, but really need to take a look because I enjoyed the one this summer. I don't remember the titles of the ones I've watched. Congratulations to the winners. Happy listening. Last week's IWSG was fun. Met some new people. Love Star Trek - from original series to the new ones. I think Chris Pine does a great job of being a young William Shatner :) Have a great week, Alex! I loved watching Star Trek as a kid with my dad and brother and have passed that sci-fi love on to at least two of my kids, can't believe it's 50 years old! Congrats to Julie and LK on their new releases! Winners of your audio books did very well, congrats. Remembered Star Trex very much so. It was fascinating! And Star Trek is going strong! I love the Underworld movies. It's funny...just yesterday I wad wondering when a new one would come out. I hadn't seen or heard about this one yet. Thanks for sharing! I remember watching that first Star Trek episode in 1966. It was the one where they beam down to a colony on a planet and the people had all gone insane; some were dead in the shower with their clothes on. I was totally captivated. Of course Star Wars is my heart, but I do love Star Trek too. My favorite series to date is Voyager and then DS9, but I love and watch them all, even the old ones. I've watched all the Star Trek shows and all the movies (except for the latest--just haven't gotten around to that yet, my bad). Watched TOS with my dad and fell in love with Dr. McCoy! So hard to pick a favorite. Okay, maybe not. I love #4, Star Trek: The Voyage Home. The funny ones were always the best. I know there was a marathon of TOS this weekend due to the 50th anniversary. Unfortunately, I forgot to tune in. I should have, but Lord of the Rings on TNT distracted me. I have to admit, Star Trek did really keep me entertained. I couldn't wait for the weekly episodes. It was great to co-host IWSG last week. I met a lot of new people and that's always really exciting. Congrats to the winners of your book! T, that would be much cooler than what I'll really be facing. Nick, First Contact hit all the right notes. Charles, she doesn't! Hopefully it's not due to plastics. Annalisa, and it didn't even get its full seven year run. Susan, Stargate is also awesome. Michael, you're welcome! Thank Mr. Random Rafflecopter. Nicola, which is good, because Shatner can't be a young Shatner anymore. Kathy, glad to kick off your week right! Sandra, black and skin tight! Juneta, you know I'll be watching. Stacy, that's my wife's favorite. Michael, I caught some of both, but football won overall. I never was a Trekkie. I guess Star Wars was my defining sci-fi experience as a child. As a teen, I loved Dune (both the movie and the book). I was in high school when Star Trek debuted. To my great disappointment, for some reason our local station in Knoxville, TN did not run the series. I was able to pick up the broadcast from the Chattanooga station though it was very snowy. A few years later they began to broadcast the episodes of Star Trek in syndication every evening at dinner time. By that time I was in college and watched at a friend's house nearly every evening. I guess at the time we would have been considered "Trekkies" to some extent. I've only seen the original Star Trek episodes on DVD or reruns. Not because I wasn't old enough to watch them, but because I was living at home and Mom didn't like sci-fi. LOL I credit ST and Star Wars for my love of science fiction--reading & writing. I love the adventure and possibilities. I'm enjoying the reboot movies, too. The Voyage Home (ST IV) is still my fav. Trek never grabbed me. Not that I dislike it, but I don't love it. I did like the Enterprise series, though, although that may have had more to do with Scott Bakula than anything else about the show. Maybe it's sad, but Kirk yelling "Khan!!!!!" is my fondest memory of Star Trek. I always loved it, but then my husband and I saw it during an outdoor film festival and it was a fun and romantic night. I love Star Trek. Worf will always be my favorite character. I'm definitely a Star Trek fan and old enough to have seen the series when it came out in 1966. We were all fascinated by it, even my father the scientist who had this gift of spoiling certain things by saying, "That can't happen because..." Even so, he could suspend belief, and get into the stories which touched on so many issues from those turbulent days. I'm with you, Alex, although my first love is the original, of the series Deep Space Nice is my favorite because of the opportunists it gave for sup-plots and continuing story lines. As for the movies, The Journey Home when they "invade" San Francisco to bring back whales will always be my favorite. "There be whales here!" Hard to believe Star Trek is 50 years old! I enjoyed watching the shows. I enjoy playing the music even more. Yeah, I can't pick a fave Star Trek... I watched both Next Generation and Deep Space Nine. I like the whale movie from the original ones. Love the new movies, though the first was the best. I've been so caught up in the 50th anniversary of The Monkees, I'd forgotten it was also the 50th anniversary of Star Trek. The local indie theatre had a documentary about Spock last week, along with the 1979 Star Trek movie, another documentary, the 1986 Transformers cartoon (with Leonard Nemoy doing voicework), and 2001: A Space Odyssey (which I caught at the 35-cent matinée yesterday). It really is something how Star Trek turned out to have so many more incarnations, and such a wide-ranging cultural influence. I've been seeing the 50th anniversary remembrances everywhere. I have a hard time picking a favorite series. I never saw the original. I was into TNG. I watched DS9 and Voyager, but I didn't follow them as closely. I think my favorite would be whatever I was watching at the time. I was 7 and remember Star Trek at my cousin's house. It has been fun and corny thru the years. Have a great week. Ray and I are still in Alaska. It is rather Star trek- like that I can send this from Denali wilderness. I was always a huge Deep Space Nine fan. Then again, it's what I grew up with, since, like you, the original was before my time. So nice of Julie to bring awareness to animal's rights with Baby Moo. Congratulations, Julie, LK, Michael and Kathy. May the force stay with you, Alex. Tamara, not many say they liked the movie Dune. Diane, my mother doesn't like it either. In fact, she's never read any of my books. Libby, that would've been cool. Bish, DS9 allowed for so much more because it was stationary. Alexia, she's a favorite of mine. Carrie-Anne, your local theater gave everyone a treat. Ellen, you rock! And I own all the DVDs as well. Brandon and Bryan, it was the best of the series. Enjoy the training, I hope it's something musical! First Contact and Wrath of Khan are totally my favorites. How glad I am that Lucille Ball pushed it onto TV. I totally need a bat'leth. I was first introduced to Stak Trek when I'd go visit my grandparents. But to be honest, I way prefer the two newer movies they produced in the last couple of years. I'm excited to see the third when it comes out on DVD! And my husband will be happy to know about the new Underworld, he really liked those. I was never much of a Star Trek fan until I got married--then I got hooked on the newer series because my husband was always watching. I really enjoyed ISWG--and Baby Moo sounds like a super cute book! I'm a huge Star Trek fan. I watched the original show as a kid. Even when I had children of my own, I still dropped everything to watch Star Trek at 4 pm. Sorry kids, supper's going to be late. Everything Joylene just said. Word for word. Live long and prosper. Hard to believe that Star Trek has been around that long. Thanks for all the info this week! Luvin the 50 years of Star Trek anniversary...especially the working communicators they've made for phones now. So cool! I love Star Trek! I love Balance of Terror, I love the episode when we meet Spock's parents, I love the episode whe. They go back in time to save McCoy and Kirk falls for Joan Collins. I love the Wrath of Khan and the whale one. I love ST: The Next Generation and one of my favourites is when Picard lives a life but nev leaves the ship. I love Yesterday's Enterprise and any episode with Q. I am one who also enjoyed Voyager and many men drooled over Seven of Nine. I love Star Trek, the original series and all the follow ups, as well as the recent reboot movies. I'm a Deep Space Nine guy. I confess I'm a Star Trek fan. I've written tons of star trek TOS and TNG episode reviews on my blog and I've probably forgotten half of what I've written now, but even so I did build Captain Kirks USS Enterprise NCC 1701 once. I had it all perfect, LED's worked with sound effects and I had to paint the thing too. It took me two weeks. Yess finally the grand opening, I had her high on a shelf - safe and sound covered by a sheet. Everyone (Well, mom and dad) were waiting so I yanked the sheet off and down she sailed like a true bird, I was gobsmacked. My beloved Enterprise smashed onto the floor and I could have cried.... it was practically game over. Part 2 The Enterprise didn't go down without a battle to be sure.. I'm behind on the Underworld movies. The last one that was out I never got around to seeing in theaters and then I put off watching it because I should be writing. Maybe I should spend my time off this month catching up on movies. Well of course I watched all the original Star Trek TV shows when they first came out. I am that ancient. I can't remember the title but my favourite movie was the one about getting the whales back into their own time. I have a copy of it on my laptop but my laptop is having hot flashes so I am not using it at the moment. Debating whether to clean the cooling system myself or pay someone to do it for me. Star Trek was a must-see when I was at school, which kinda dates me a bit :) It reached the UK a few years after starting in the US, but I can still remember the trailer for the first episode when it aired there and the effect it had on people back then. I was a fan or the original Star Trek but when The Next Generation came along, I became a total convert. It's still my favorite. Congrats to the audio book winners. I liked Riker because he was more like Captain Kirk. Every time Picard got in a life-threatening situation, I was pulling for the villain! I know both winners of your audio book, and I am sure they will love it. :-) Of course, what can I say about the return of Kate?! Hi, Alex! I've been a Trekkie from the beginning! I can remember sitting in my university residence common room with dozens of girls watching the original Star Trek on a small black and white tv!!! WE LOVED IT! I've enjoyed all the series, but I especially enjoyed Captain Picard and TNG. Terry's was Seven 0f Nine inVoyager (No surprise! LOL). I can't believe it's been 50 years!!! Have a good one! My husband and I re-watched First Contact to celebrate the 50th anniversary. I love that movie! I grew up watching TNG when it aired, so I feel a special affinity for that series. I remember the reruns of Star Trek would be on at dinner time every night. We were a have the TV on during dinner type family. At least the show was good! LOVE Wrath of Khan. I watched Star Trek as a kid and fell in love with it and especially with the characters. Only as an adult did I learn that Rodenberry hired the top sci fi writers (Harlan Ellison, Sturgeon, Asimov, and so on) rather than standard TV writers, and it showed. What's especially remarkable is that it debuted only one year after Selma--that bloody climax of the Civil Rights movement. I remember being inspired by the positive vision it had of humanity's future, in contrast to what I was seeing around me. It gave me hope. That and I had a crush on Chekhov. I remember the original Star Trak series and loved it. Not surprising it inspired so many people. Funny, just before I opened your post there was TV commercial for Star Trek 50. It really is a world wide phenomena. 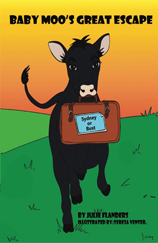 Congrats to your book winners, and I am excited about Baby Moo's book. JE, it's a cool weapon. Patricia, as good a time any. Jo, that would be IV - The Voyage Home. Fundy, Seven of Nine was hot. I'm SO stoked about the new Underworld movie. Why can't it be out already? The last one was SOOO good. I grew up more of a Star Wars fan, but when I was in college, it was weird how all the kids around me gathered to watch TNG. So I got hooked. Wrath of Kahn in still my favorite ST movie. And congrats to Julie Flanders! So glad I got to meet you last year. Best of luck with Baby Moo! Congrats to Julie and best wishes on her new release. Star Trek lasts the generations. I've seen every episode I'm sure and all of the films. Not like I'm going to conventions or dress up in the clothes or anything, but I have always enjoyed the show. We watched the BBC weekend marathon to celebrate Star Trek's anniversary. It is amazing how progressive they were for their time. The jobs women were working and the mix of races. Pretty awesome. Happy 50th to Star Trek! I'm a fan of the original series. I never could get into the other series. Wrath of Khan is my favorite ST movie. My favorite episodes are the Trouble with Tribbles and the Doomsday Machine. It's amazing how much influence Star Trek had. I did a college research paper on the influence of science fiction, including Star Trek, on science and the world. Fascinating stuff. Congrats to the new releases and the audiobook winners! I remember Star Trek being on telly every Monday night back in the 70's. At school the next day it was all everyone talked about. Hey Alex. Nice to see you as the guest post for your own blog, lol. I love Star Trek, and did watch in syndication too. Many many times. I didn't watch all the marathon episodes, but did manage to see a few I don't remember. It was a great show; still is. yay for the showcased authors! and i hope i can find time to write a story and enter the anthology! I will say that I've always been a HUGE fan of Star Trek (was raised primarily on the original, TNG, and Voyager). With regards to Underworld, I unfortunately don't share the excitement but I think it's because I saw the second one and stopped there. I watched Star Trek: The Next Generation as a teenager and loved every second of it. Epic TV series! Maybe not Season 2, but everything else was so great and the series ended on a high note. I still love the show to this day. It never seems to get old. Huge Underworld fan.. CANNOT WAIT!!!! This explains the Star Trek pics and memes I saw. I didn't know it was the anniversary. I'd like to get into Star Trek. I caught a few episodes when I was young. I remembered them being enjoyable. Congratulations to the wonderful authors with new releases, and again,that is so exciting about you having an audio out. would you believe I've never seen it?? Crazy, I know!! My brother lovvveedd it and all sci-fi stuff so actually I might have seen one or two when we were kids but I don't remember it too well. 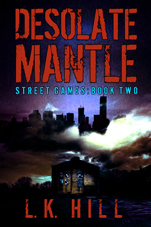 Desolate Mantle sounds interesting, I shall Amazon, thank you. 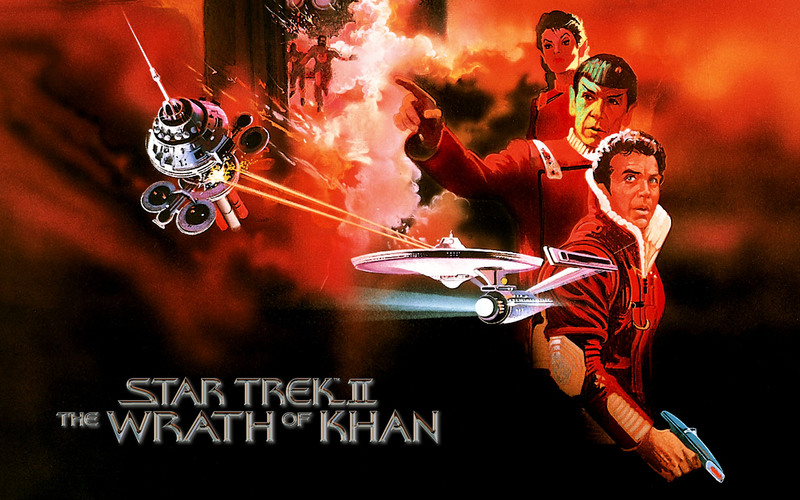 Favorite Star Trek movie: Wrath of Khan (enjoyed First Contact immensely, though). I also like the reboots, although I wish they didn't have to go and destroy the Enterprise (I do admit the way they did it was pretty badass). I despised Deep Space Nine (sorry). Almost as much as Voyager. I'm still a big fan of Star Trek, though perhaps not as fanatic as I used to be. I recall for my 17th birthday, my dad took me to the video store to buy all the movies in VHS as my gift. I also really like the reboot. Sadly, I haven't watched much beyond the original series. IWSG is always a blast. Best blogging time of the month. Congratulations to those who won the audio! I just realized I totally forgot to send you my list from IWSG. Will send asap. This past month has been craziness!!! I didn't know there were still Underworld movies coming out. I thought it was just one years ago. I'm so out of touch! I believe it's been 50 years. I tried a few times to show my kids an original episode, but they're like "This is so fake" and I'm like "Well, you have to pretend." They're so spoiled by the technology we have now, they don't understand that. I started watching the original Star Trek reruns when I was in the second grade and I still like it. I also like the Next Generation and the reboots. It's fun to see the original characters with all the advances in special effects. Ah, training. Always good to have but it can be mentally draining. Our brains can only hold so much at a time. Maybe mini-Alex can fill in for you on Friday? Although his hands are tiny, not sure he'd be good at typing. Let me know when you need another co-host for IWSG. I'm happy to help. Karen, I've been to a convention but no way I am dressing up. Cathy, I'm surprised they got past the first couple seasons. It got better. Al, DS9 had its detractors. Stephanie, no worries! I've already culled the list. Cindy, the show might be dated, but it's still very relevant. Kathrine, one year ahead for movies. But longer is a tease. The teasers for the next Guardians movie have been driving me crazy and we still have a year to go. And you are uber cool. Elsie, thanks - maybe next February? My favourite Star Trek? Wrath of Khan and First Contact. TOS and Voyager are my two favourite series. It's hard to believe Star Trek has been around fifty years. Time is moving just a little too fast. Have you seen the story of Lucille Ball and how she had to fight to get Star Trek on the air. Desilu productions spent a bunch of money producing episodes before they really had a taker on it because they believed in it so much. It truly was an iconic groundbreaking show. A lot of my friends growing up were Star Trek fans, I definitely watched the reruns and some of the movies, but lately I haven't seen much of anything, mostly because of our home situation with my daughter. That's why books are my best option right now- easy to put down and pick up again! Star Trek always, always reminds me of my dad. Any time a new one comes out, I get just a little bit teary-eyed. I remember watching all those old episodes, probably on re-runs. I don't think I was old enough for them on prime time either. And for some reason, The Wrath of Khan at the drive-in sticks in my head clearly. I think it was the worm through the ear to the brain. Creepy. I don't know that I've ever met a Star Trek I didn't like. ST: TNG was my all-time favorite, but I loved TOS and DS9, the movies old and new, and everything in between. Currently I'm catching up on ST: Enterprise on Netflix and enjoying having episodes of a series I haven't seen. Congratulations to Michael Di Gesu and Kathy McKendry for winning the audio book. I'm not much of a Star Trek fan. Have seen Julie's book on Facebook. Will hop over to Rebecca's blog now. My favorite Star Trek is Star Trek II. THIS one, not THAT one with the kids pretending to be a crew. My favourite ST is still the original series. I also grew up watching the syndicated reruns and so the original crew and style of the episodes are iconic for me, aside from the fact that I love,'60's Sci fi. As far as spinoffs go, I like Next Generation best, mostly because of the characters especially Data. Congrats to the winners of the Audio CassaStar! Star Trek was one of my favorite tv shows when I was a kid, and I've definitely seen all the shows and the movies. I know it has influenced my imagination, and I think it's one of the reasons that my husband is an engineer and an all around fix-it guy. BTW - shoule we all have a Star Trek blogfest to celebrate the anniversary? was a teenager when the first ST aired. Watched it avidly, over and over. When ST:NG began I made the leap, and I believe it is my favorite. I adore Star Trek. Even though it's dated, the original is my fave. I'm a huge Spock fan! I like the Underworld series and am glad there'll be a new one. Congrats to Julie and LK on their releases and to Michael and Kathy for winning your audiobooks! Another Underworld movie? Wow, I'm so behind. I've only seen the first two, I think! Like you, I think I like them all, but Next Generation is the one I relate to most. I got to see many of them when they first aired. Not sure how I feel about another UnderWorld movie after the last one, but I'll probably see it at some point. Haven't tried to pursue audio books yet, but you never know. Congratulations to Michael and Kathy! 50 years? Wow, Star Trek has been around a long time! Lynda, that was a great show. Cancelled before its time. Morgan, no mystery - this dude is over fifty. Heather, skip the second and go straight to the next one. For me, it's the original Desilu production. The rest, never really caught on for me. But the original .... I FLIPPIN' love it. PS: Tim's happy the Steelers won, even if they weren't all that with it, today. IWSG was such a good idea. I always enjoy writing the posts, as well as reading everyone else's and chatting with them. It always gives me a boost. I'm sure I'd love Sean's book. Have travelled Morocco, and been to Tangier, so can see what a great setting it is for the story. 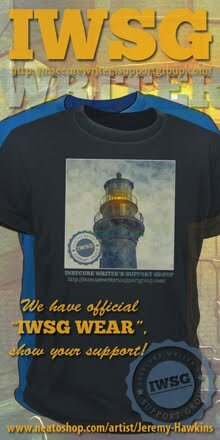 I'll be posting IWSG article in October. I'm sorry for missing the past few. Was dealing with some personal issues. I'm such a putz! I didn't visit the whole month, but I'll catch up on all your posts right now! I watched lots of Star Trek episodes in their syndication. Always cheesy, but always good. I knew you'd love that Kate was back at it!